I went to an election-night party on November 6th. This was an occasion always bound to end in disaster – for me at least. I’m constitutionally unable to stay up past about midnight. Luckily Mr Obama didn’t need my support, at it turned out. Anyway, our host made excellent chilli, I think from the classic Silver Palate book, with fluffy cornbread and guacamole, and I volunteered to bring pudding. I wanted to do something American, and then I wanted to do something, when I thought about it more, that was Mormon. Or, at least, Momon-esque – the more I read about modern Mormon cooking, the more I learnt about Jell-O. ‘Food was rarely plentiful in the early years, families were large, and all households tithed at least 10 percent to the church, so women were strongly encouraged to develop cooking and budget-management skills. Being industrious and hardworking is highly prized in Mormon culture (the beehive is a symbol of the church), and for women, cooking provides a real sense of identity and daily purpose. In the 1960s, Mormon women (like most Americans) enthusiastically embraced inexpensive convenience foods like canned fruit, instant potatoes and, of course, Jell-O. Hence the Betty Crocker because, having rejected frog-eye salad on the grounds that pasta and jelly should never be seen on the same plate, I decided on a poke cake. A poke cake, apparently, is a cake you poke holes in. See? 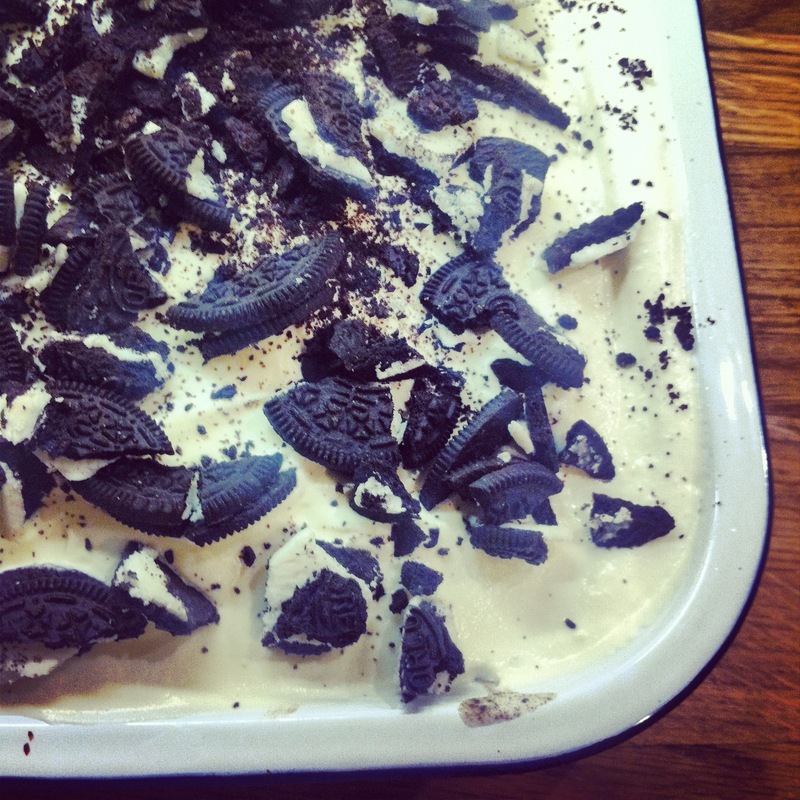 And what could be more American than an Oreo-flavoured poke cake? 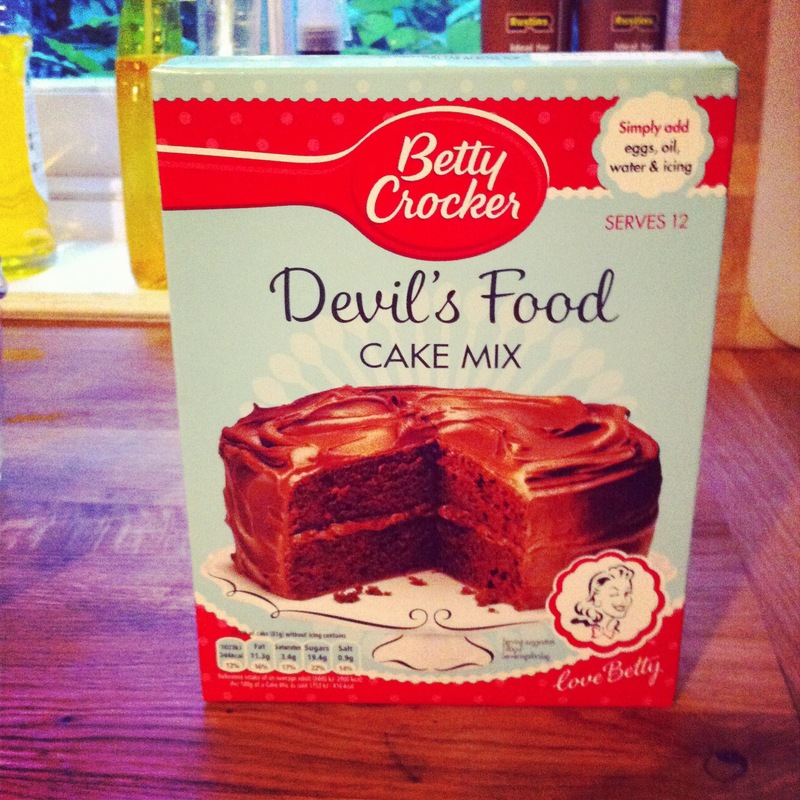 I poured this over the cake, and left to set in the fridge, by which point it looked even worse. Fortunately, there’s nothing that a mountain of Kool-Whip can’t hide. Or, in this case, cream whipped with sugar and festooned with Oreos. Unfortunately I was so eager to sample my handiwork that I could only bear to take the most awful of photos. 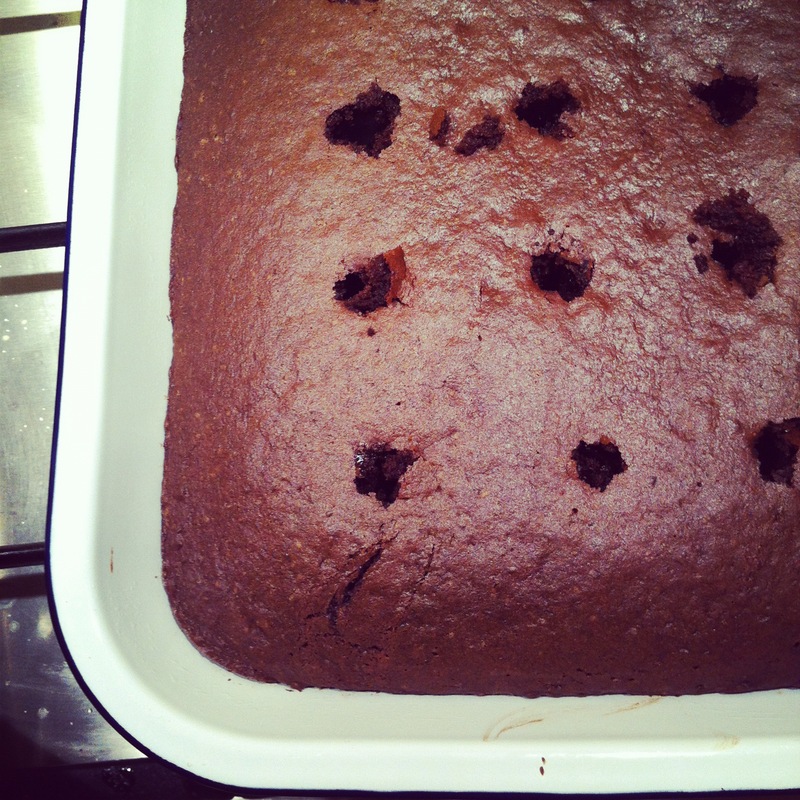 Suffice to say, the cake went down pretty well, with Richard claiming it was, in fact, one of the best I’d ever made. Thanks a lot Betty. Anyway, here’s the recipe in all its awful majesty. I imagine it would be even nicer, depending on your tastes, if you made your own chocolate sponge, but that wouldn’t have been in the spirit of the evening. Mitten, this is your just dessert. 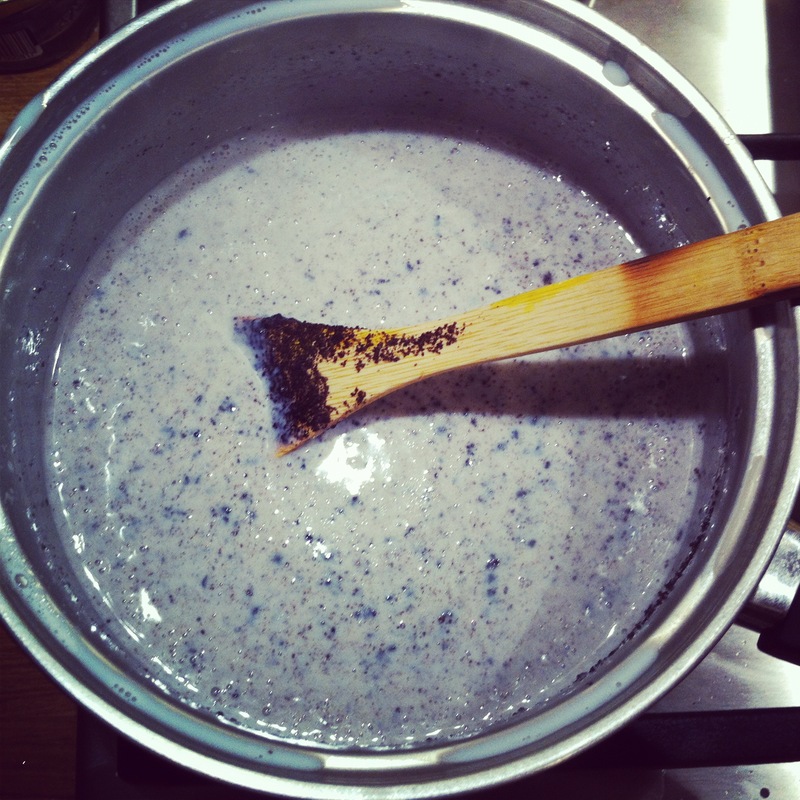 Pour 500ml milk into a saucepan and add the sugar. Bring to the boil over a medium heat. Meanwhile, whisk together the cornflour and 100ml milk until well combined. When the milk is boiling, stir in the cornflour mixture, turn down the heat so the mixture simmers, then stir continuously until it thickens. Take off the heat and stir in 5 finely ground Oreos (it’s easiest to use a food processor for this). When the cake comes out of the oven, use the end of a wooden spoon to poke holes all over the surface. Pour the blancmange mixture over the top, then refrigerate until set. When set, combine the cream and icing sugar in a large mixing bowl and whip until firm. 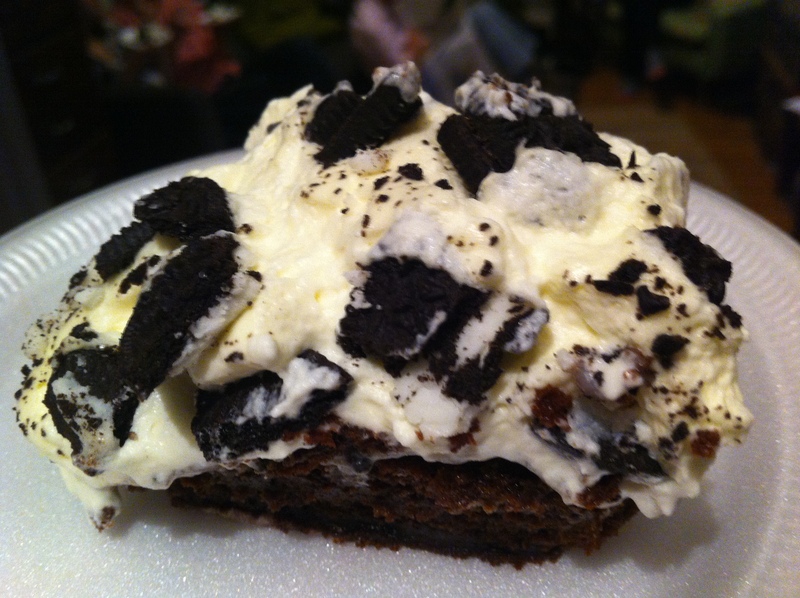 Spread over the top of the cake, and then top with roughly crushed Oreos.